Lok Sabha passed the controversial Undisclosed Foreign Income and Assets (Imposition of New Tax) Bill, 2015 yesterday. Scope – The Act will apply to all persons resident in India. Provisions of the Act will apply to both undisclosed foreign income and assets (including financial interest in any entity). Rate of tax – Undisclosed foreign income or assets shall be taxed at the flat rate of 30 percent. No exemption or deduction or set off of any carried forward losses which may be admissible under the existing Income-tax Act, 1961, shall be allowed. Penalties – Violation of the provisions of the proposed new legislation will entail stringent penalties. Prosecutions – The Bill proposes enhanced punishment for various types of violations. The above provisions will also apply to beneficial owners or beneficiaries of such illegal foreign assets. 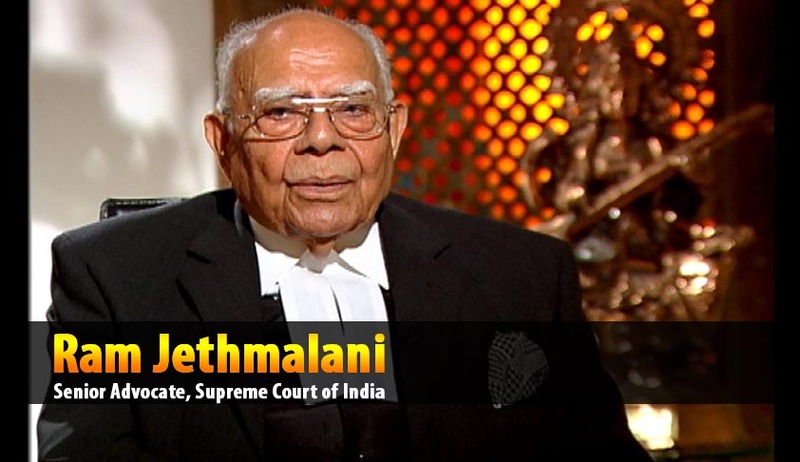 Meanwhile Senior Advocate and Member of Parliament Ramjethmalani has criticised the Finance Minister and the new Bill. He termed the new Bill totally worthless and is a kind of Amnesty Scheme. He also raised many questions in continuation of his previous questions to the Finance Minister. This judgment is good law and is the pillar of Indian democracy. No government or its minister or bureaucrat can maintain secrecy of official information when demanded by a citizen except for a very genuine and compelling reason. In the famous case of Robinson v/s State of South Australia, Lord Blanesburgh declared in the Privy Council that the right of secrecy is a very narrow one and must be exercised most sparingly. Its only one justification can be that disclosure will cause serious injury to public interest - information cannot be denied to a citizen merely because it is marked ‘confidential’ or ‘official’ in some document. On 26.04.2014, I wrote a piece for publication in the Sunday Guardian in which I posed twelve questions about Black Money, demanding factual answers from the Finance Minister. Clearly, understanding of constitutional law and its practice appear to have reached an all time low. Truthful answers are not being provided to me, without even the fig leaf of even the absurdist and most undemocratic reason - that answers to my questions would cause grave injury to public interest. But even more shocking was that in addition to Government’s non disclosure to my questions, the Sunday Guardian adopted an easy method to block the publication of my article containing the questions - by corrupting an underling. Well, this crooked trick was also rather foolish, and could not render me powerless, thanks to modern technology. Perhaps they did not realize that I am not altogether tech non-savvy. The whole article and questions were put on Twitter and Facebook and received much higher readership than from the Sunday Guardian. I was horrified at the percolation of the gag culture in the media, which was there for all to see, and I could only express my consternation by resigning as Chairman of the newspaper. 1) That the present government with its present leadership has no intention whatsoever of fulfilling the election promise made by the BJP to the nation on the issue of repatriation of black money. 2) The BJP President has publically confessed that all the promises of enriching the poor citizens of India with the return of black money, was a deliberate lie and at best a cruel joke. This has not been contradicted by any responsible leader in the government. 3) That the present government is toeing the line of Chidambaram who only because of public pressure, in particular from Admiral Tahiliani, President of the Indian Chapter of Transparency International, entered into a very iniquitous correspondence with the German government between February and May 2008, reluctantly asking for some information. 4) That the present Finance Minister, has no intention of changing course following sensible advice from persons like Professor Vaidyanathan, Herve Falciani, International Consortium of Investigative Journalists, the Swiss Bankers Association and the Government of Germany, and invoking the United Nations Convention Against Corruption (UNCAC). Now here are some more questions and I hope the government will not outlaw all sections of the social media and substitute light with darkness. 1) My first question draws attention to our historical immunity to any information about illegal money salted away abroad, particularly concerning our leading politicians. Does the Government remember that a very popular Swiss magazine, Schweizer Illustrierte, on 11 November 1991 did an exposé of 14 politicians from developing countries, who, it said, had stashed their bribes in Swiss banks mentioning specific amounts, with their photographs alongside? Included in this illustrious list of money launderers was the late Rajiv Gandhi with an account of US $ 2 billion. But strangely, no one from the Gandhi family thought it fit to sue the Swiss magazine. Some patriotic Indians published these facts in a paid advertisement in the US in 2007. Sonia Gandhi had the option of filing a defamation suit, but chose not to do so. Obviously, subjecting herself to cross examination under US law would bring under scrutiny many more facts she would rather leave buried. 2) Has the Government or the Special Investigation Team (SIT) asked Madam Sonia Gandhi to inform the nation about what happened to this US $ 2.2 billion? Has any member of the Gandhi family been interrogated? 3) Is the Government aware that Dr. Subramanian Swamy, President of Janata Party and former Union Commerce Minister, made several statements over the last few years alleging a criminal nexus between important politicians and those controlling the inflow of participatory notes, naming members of the Gandhi and Chidambaram family? Since no defamation suit has been filed against him, and his statements have not been contradicted by those he has named, we can only believe them to be true. Has any investigation been done into these matters and has the help of Dr. Swamy been sought for interrogating the crooked high and mighty? 4) Is it true that in early 2007, some contact was established by the previous government with a prominent bank in Switzerland, and the bank expressed willingness to share information with the Government of India provided it declared to them that they were investigating a case of money laundering? Is it true that neither the previous nor the present Government has provided the required declaration to the bank till today? If so, why is the present government refusing to give such a declaration to the bank? 5) Is the Government aware that Switzerland is a signatory to and has ratified the UN Convention Against Corruption? If according to the statement of the BJP President Amit Shah, treaties with foreign countries are an obstacle in recovery of black money, why has this government continued the use of DTAAs which have existed for decades without yielding any result? What explanation does the Government offer to the people for continuously desisting from using the UNCAC, the objective of which is to nullify the bank secrecy practices in tax haven countries like Switzerland? 6) Will the Government confirm that they are fully aware of the notorious case of Hassan Ali and his Calcutta accomplices who had more than US $ 8 billion in their accounts in Switzerland? Is it correct that this Hassan Ali was being interrogated in 2008 by an honest police officer who is said to have installed a camera in the interrogation room so that nothing of the interrogation is denied later? The interrogation was extremely important because Hassan Ali had admitted that while the account belonged to him, the moneys belonged to others. He was willing to disclose the identity of these others, but before the interrogation could be completed, the officer was transferred, harassed and disgraced. 7) Will the Government explain why Hassan Ali or his accomplices were slapped with a tax demand of just Rs. 70,000 crores, and whether this demand was based on only one account when in fact he had four accounts? Has the German government or any other Government been informed that these cases are not cases of tax evasion, and that the moneys are proceeds of crime? 8) Is it true that Letters Rogatory were obtained from the Bombay Courts that Hassan Ali and his accomplices are involved in arms sales particularly in transactions with Adnan Koshogi, a notorious arms dealer? Will the Government provide the present status of Hassan Ali’s cases, civil and criminal? 9) Is the Government aware that a statement was made by the Counsel for the previous Government that out of Hassan Ali’s billions, only US $ 40,000 remain in his account? Why were no steps taken to prevent Hassan Ali from operating his accounts during the course of his investigation? Is it correct that this colossal national loss would have been prevented, had this Government issue an ordinance of the kind I had drafted in November 2014, nationalizing all illegal money deposited in foreign bank accounts? 10) Will the Government disclose to the people of India whether the draft ordinance submitted by me was even seriously considered by anyone in the Government, and for what reasons my proposal was not accepted? Are the people of India aware that the Bill approved by Cabinet for unearthing black money, the “Undisclosed Foreign Income and Assets (Imposition of New Tax) Bill, 2015," is totally worthless and is a kind of amnesty scheme? Are they aware that this goes against the government undertaking given to the Supreme Court in 1998, that it would not float another amnesty scheme? The people of India, who are the real owners of our national wealth stashed away abroad, are entitled to know the answers to all these questions. They are also entitled to know why the new Government with a new Finance Minister has not moved even an inch to fulfill their promise of repatriating black money back to India, except in taking steps that will make the task further impossible. In an another Article he said that his battle for the restoration of black money illegally siphoned off abroad, estimated to be around US $ 1,500 billion, equivalent to Rs 90 lakh crore, back to our country arises out of absolute moral compulsion.